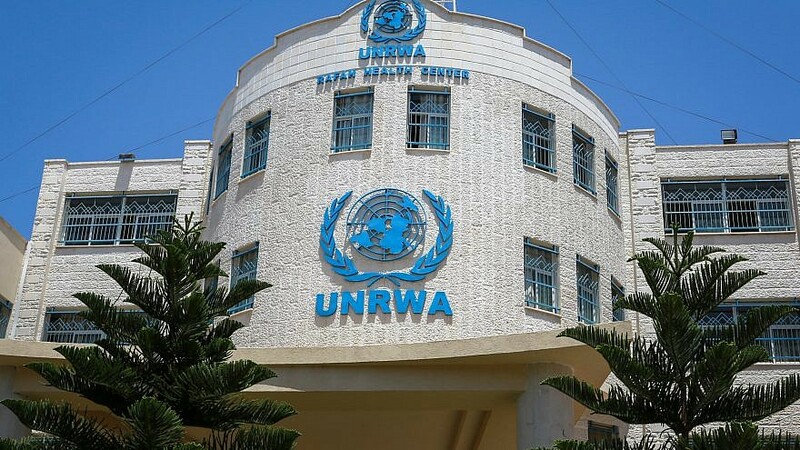 One of our most extensive areas of journalistic research has involved investigations of Palestinian Authority/UNRWA education. We engaged Israeli and Arab journalists to film PA/UNRWA schools, acquire and translate all new PA/UNRWA school books, and investigate the use of UNRWA facilities for terrorism and terror education. Over the years, we have brought these investigations to the attention of Middle East subcommittees in both houses of Congress, resulting in an official GAO study of PA/UNRWA education. GAO findings recently released after a delay of a full year, confirm that the PA has provided UNRWA with a war curriculum for 321,000 students who learn in UNRWA schools in Judea, Samaria, Gaza and Jerusalem… making the possibility of any kind of peace process seem utterly absurd. We have translated and examined all PA school books used by UNRWA since the new PA curriculum was launched on August 1, 2000. While the new PA curriculum was always characterized by incitement, the last two years have witnessed a deterioration into war indoctrination. This was amply documented in the studies provided to the US Congress by our professionals. Now studies by the GAO, as requested by Senator James Risch, chair of the Near East Subcommittee have provided independent verification of the findings of CFNEPR. Thanks to the GAO disclosure of its study of PA/UNRWA education, the public can gain better understanding of where the problem lies. The State Department reported to Congress that it had developed alternative materials to the anti-Semitic and pro-incitement PA school curriculum used by UNRWA. GAO asserts that the PA curriculum used by UNRWA led to participation in riots. GAO reveals that State neither vetted any PA books used in the UNRWA curriculum. How did State know there is no incitement? GAO reports that State relied solely on the assurances of representatives of the PA Ministry of Education, who wrote the school books. State tells GAO that “problematic” pages appear only 3% of the books, which UNRWA acknowledges. If so, why does UNRWA not remove such books? No explanation. Senator Risch asked for “independent verification” of the research that our agency provided Congress with over the years, ever since we began to acquire the new school books of the PA.
On the day that the PA first published its new school books, on August 1, 2000, we travelled to the meet the PA Minister of Education Dr. Nayim Abu Humus, at the new Ministry of Education in Ramallah, who presented us with the first set of books. Ever since, we have received and translated all PA school books used by UNRWA. The idea behind the PA issuing its own texts for use in UNRWA schools was that this would be a sign of a responsible, independent Palestinian Arab state in formation. However, the theme of the new PA school books evolved into the “right of return [to take back all of Palestine] by force of arms” including what is now Israel. Senator Risch received the GAO report last April, which provided independent verification that the PA provided war curriculum for UNRWA, the State Department issued a gag order, not to release the report. At one point, a journalist asked the Senator why he does not publish the GAO report on his own. Senator Risch responded that that if he opens the GAO report, he can be arrested. Until three weeks ago, spokespeople of the US State Department, blamed the GAO for the classification of the report. However, the spokesman of the GAO, Chuck Young, asserted that the decision to classify the report was made by the State Department. State was forced to issue a statement that, indeed, only State was responsible for quashing its publication and release. The straw that broke the camel’s back occurred when a State spokeswoman declared that State did not have to respond as to why they classified the report. That response produced angry calls from Congress, and, finally, a decision by State to make the report available for public knowledge and for US Congressional scrutiny. State Department now distributes and discloses the report, with no explanation for the ten-month delay. Over the past 18 years, our agency has reviewed all PA school books used by UNRWA. Thanks to the initiative and integrity of Senator James Risch, the issue of UNRWA “education” now sees the light of day. Previous articleHamas and other terrorist organizations in the Gaza Strip threaten to escalate the “return marches”.